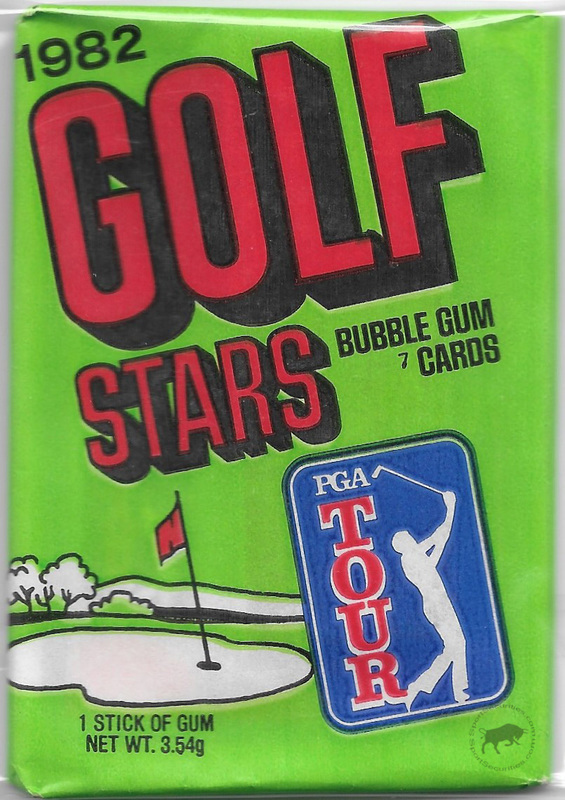 Recently I saw a sealed wax pack of 1992 Donruss golf cards for sale at a card shop. At $14 I was interested, but after some debate, I decided my money was better spent on some vintage baseball cards. Part of this decision was influenced by the idea that I could probably find a 1982 Donruss Golf wax pack online for less. So, at the first opportunity, I checked good ol’ eBay and found a seller who was selling a four-pack lot (two packs of 1981 Donruss and two packs of 1982 Donruss) for close to what I thought was fair. Taking a leap of faith, I purchased the lot. After opening one pack from each year, I decided to stop and save the two remaining packs. From the first card, the Jack Nicklaus rookie card, I was convinced that the packs were fine. No one would ever search packs and leave behind the biggest card of the set. As a second point, the cards were all there (seven per pack), and they were in amazing condition; corners, edges, and surfaces. The only exceptions were the cards that were in contact with the gum. 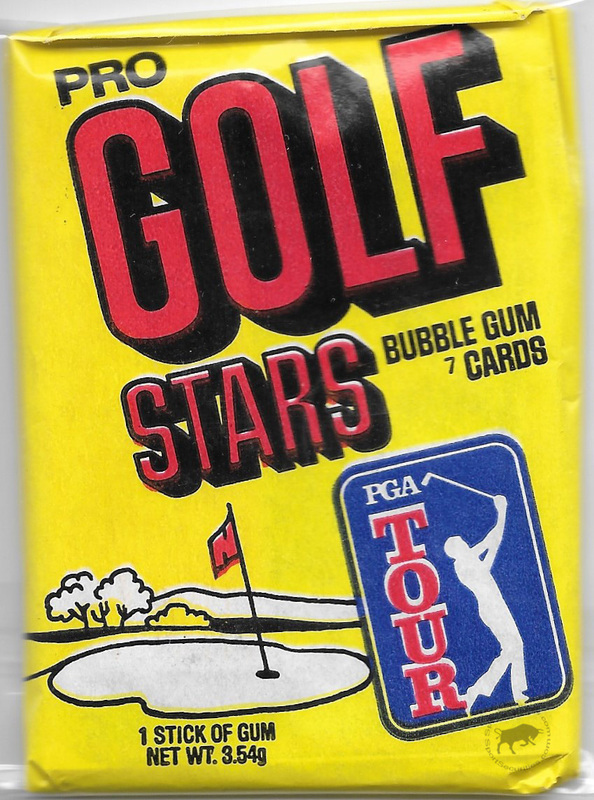 Both of the gum cards had become one with the candy, and removing the petrified pink confection resulted in the destruction of the card (peace be with you Johnny Miller and Bill Rogers). In a post-break thought, it is interesting to reflect on the overall grade of the cards from these sets. It is commonly accepted that the 1981 and 1982 Donruss golf cards are condition-sensitive sets. They are loaded with problems, some of which include poor paper quality, badly off-centered (top to bottom and/or side to side), wax stains, gum stains, and mold stains. It never occurred to me that in addition to these issues, the wax pack itself would be sub par (pun intended). It is hard to imagine that high grade GIA packs would be common. I am very familiar with the 1982 product and I have examined a large number of sets, but this is my first hands-on contact with the wax. I would like to see more wax up close, but my “fire from the hip” conclusion is that Donruss was just lazy and cheap when it came to their early 80s golf products.